Elegant and simple, these XXVI.II (26.2) earrings are perfect to celebrate your accomplishment and wear every day. 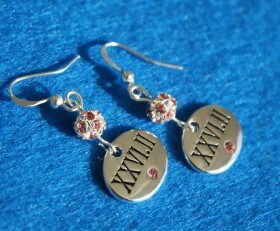 Beautiful XXVI.II charm with pink crystal set off with pink bling pave bead. 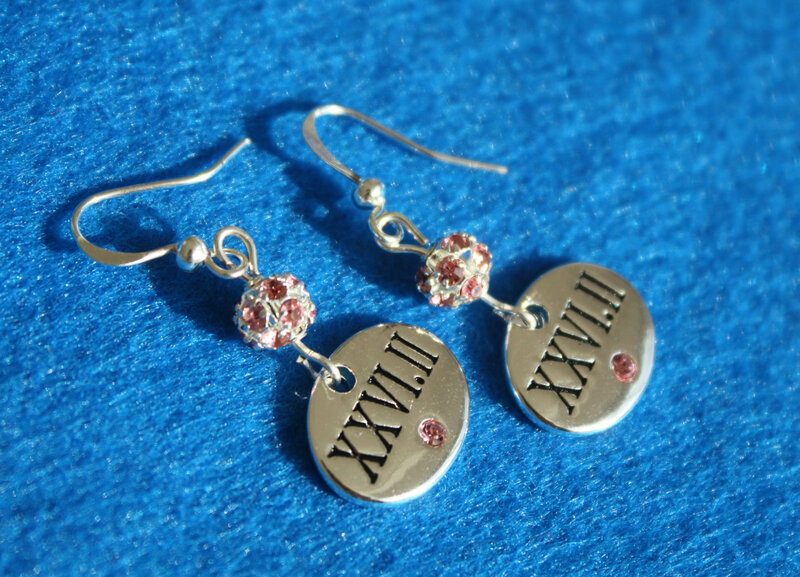 You can also get with XIII.I (13.1) charm. Choose your race distance in the options.